Come celebrate the opening of our 6th soft core exhibition featuring a showcase of our artists's in collaboration with The Riveter in Marina Del Rey. This group of artist's are LA locals focusing on the landscape, culture, and atmosphere of our city. This exhibition explores this content within the joint work environment of The Riveter. This cohabitational work space is permiated with artwork that reflects different aspects of Los Angeles ranging from all corners of our city. Gentle nudging, adjusting, and rearranging. We to try to fit in and keep our heads up to avoid stubbing toes and bumping shins. We shift, reevaluate, and start over— one step forward and two steps back. It's all hectic. We're all trying to get by. 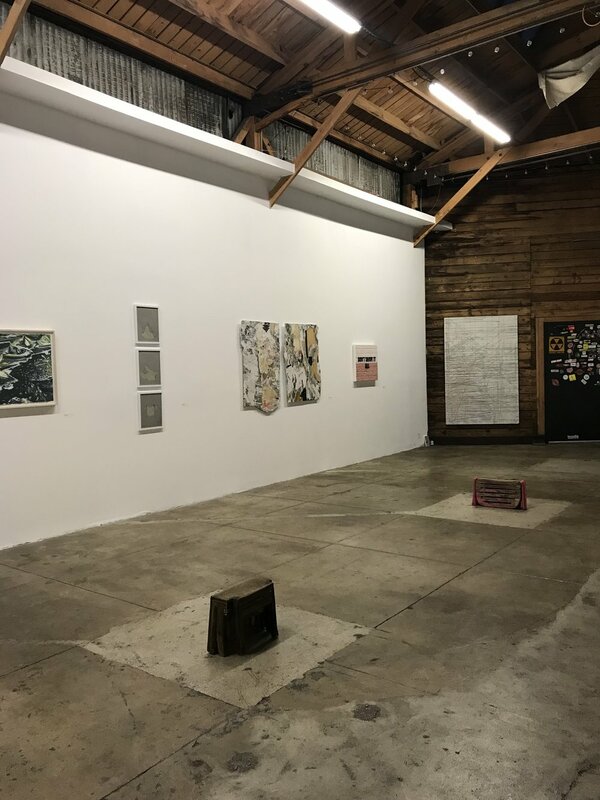 Soft Core LA Presents it's 5th art exhibition at Monte Vista Projects. Featuring guest curator Alexis Hyde. I want to feel indulgent. I want art for art's sake. I want beauty for no reason at all. Nonsensical movements and colors and patterns for no other reason than we can. More delicate, less sturdy. Sick of logic and reason and worry and anxiety. Looking for luxurious gestures and unforseen consequences. Less planning. More execution. More confidence. Less outlines and more as it lays. 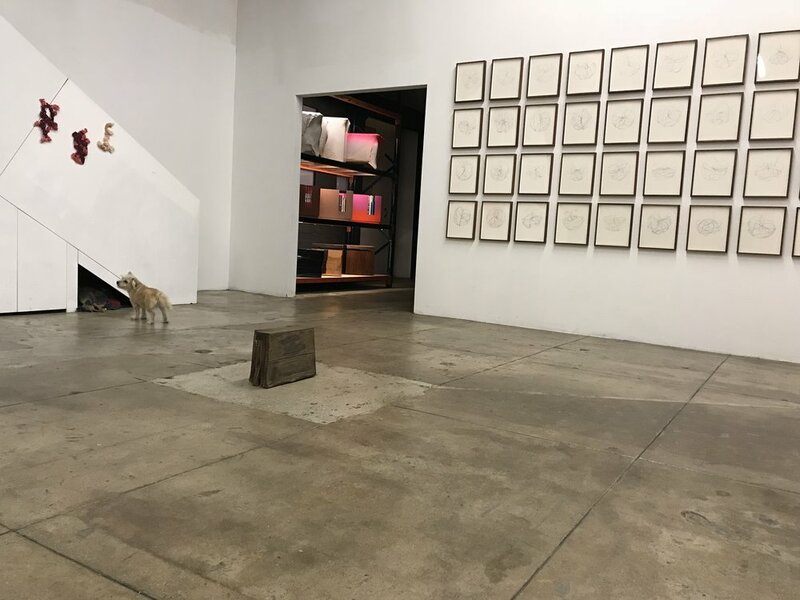 The result of these impulses is Formless and Fragile, a one night pop-up in the Los Angeles Arts District of artists who indulge in similar instincts. Who are pursuing beauty and abstrction and absurdity and journeys with no end. Enjoy yourself. We are. plus one - our second installment of soft. core. soft. core. 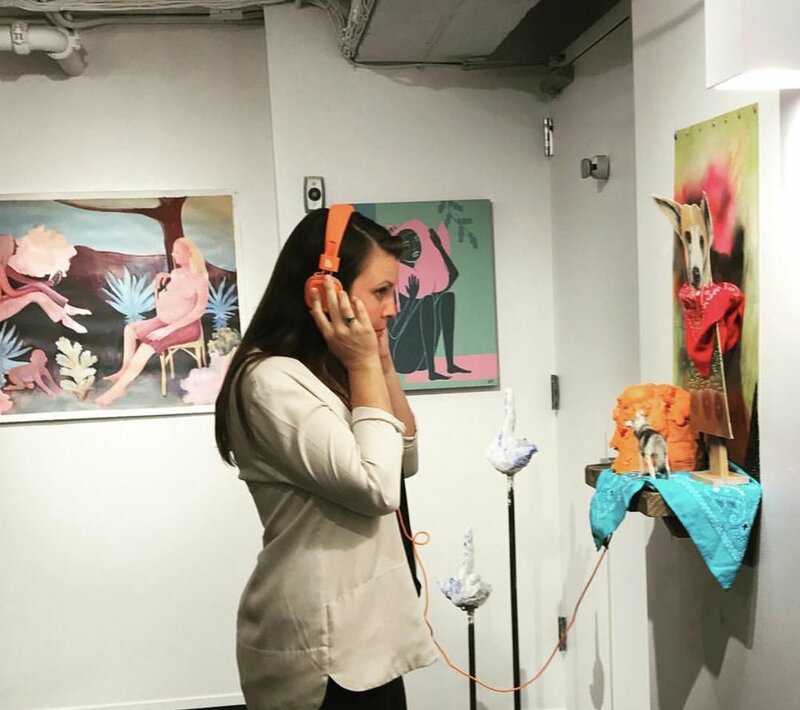 is a pop up group show featuring Los Angeles and New York artists that are exploring themes of vulnerability and strength within their work. The show will consist of paintings, drawings, and sculptures all featuring a soft side to the artist’s practice. The show highlights artwork that is petite in scale with conceptual strength to both engage the viewer and draw them in closer. Come and experience soft. core. for only one night in the Los Angeles Arts District. Hosted and curated by Megan St.Clair.